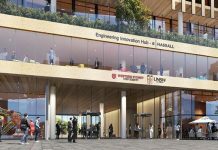 Parramatta has once again delivered the goods with a new proposal at 2 O’Connell Street being located next to the western end of Parramatta Westfield. This proposal is sorely needed to fill the gap in the skyline which has been dominated by Parramatta CBDs North towers of the Altitude Meriton Towers which are now completed. 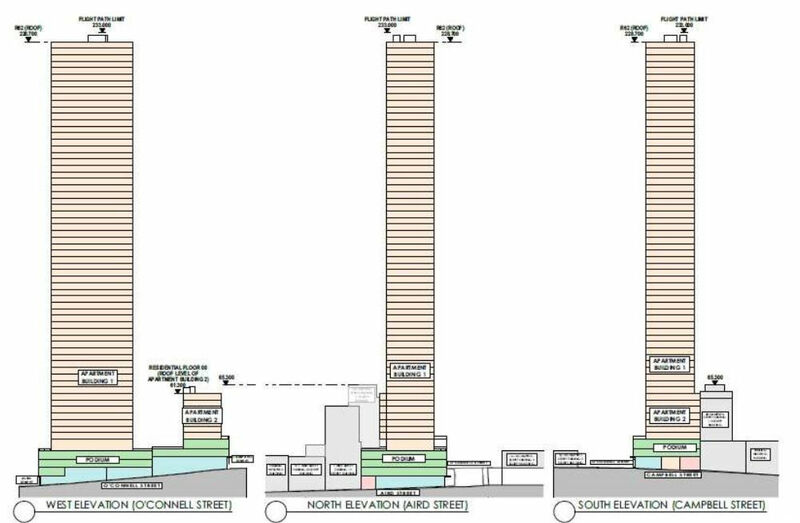 The 2 O’Connell Street proposal includes two towers. 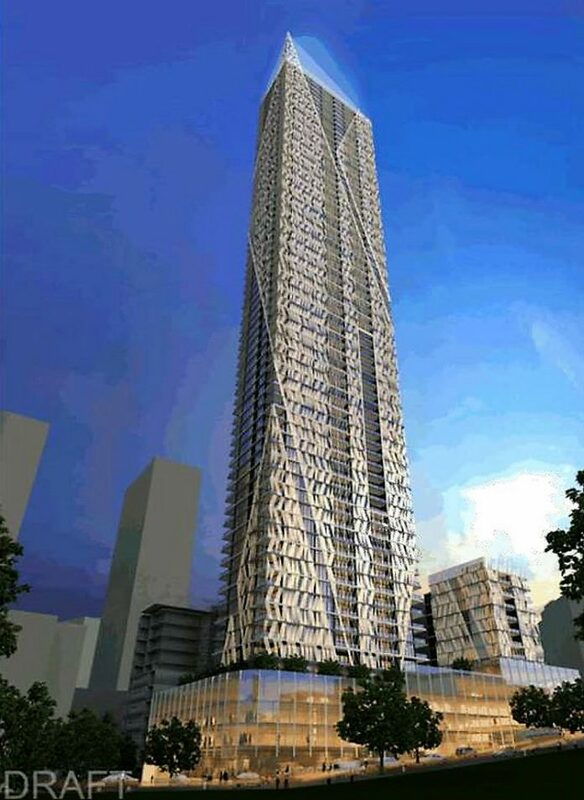 The first of which is a 66 story building which will reach a height of 217m. This tower includes 4 levels which will be for commercial purposes located at the ground level and the remaining 62 levels will be dedicated to residential apartments which will yield 427 apartments. The second tower will be an 11 story building above 3-4 levels of commercial space & 7 levels of residential space above which will include 28 apartments. In total there are 455 apartments proposed for the development overall. The development will also include 527 car spaces which will mean each apartment can have at least 1 car space assigned to it. The car spaces will be located underground where there will be 6 levels of space. This proposal is currently at the Gateway. The applicant of the Development is Think Planners P/L & the Landowners are the owners of Strata Plan 20716. There is also a potential bonus of an increase of 15% in the floor-to-space ratio for design excellence. The location is spectacular being right next to one of the biggest shopping centres in Australia & one of the busiest transport interchanges in Sydney making it easy to get virtually anywhere in the city. 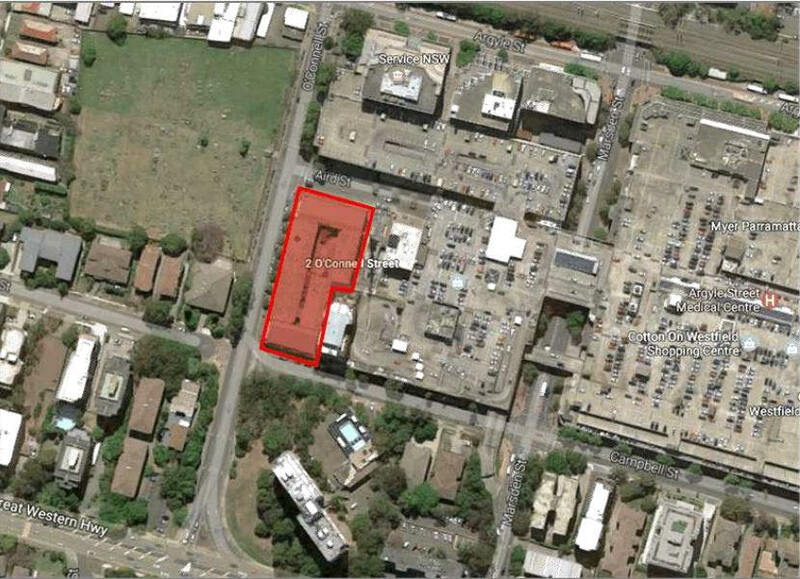 This development further cements Parramatta’s status as Sydney’s 2nd CBD. 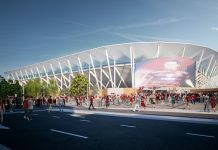 It is expected that if the proposal is fully approved then the building could be completed sometime in the year 2020-21.